Cutter & Buck's quilted outerwear vest ensures that the weather won't slow you down for the big game, or on any other day. 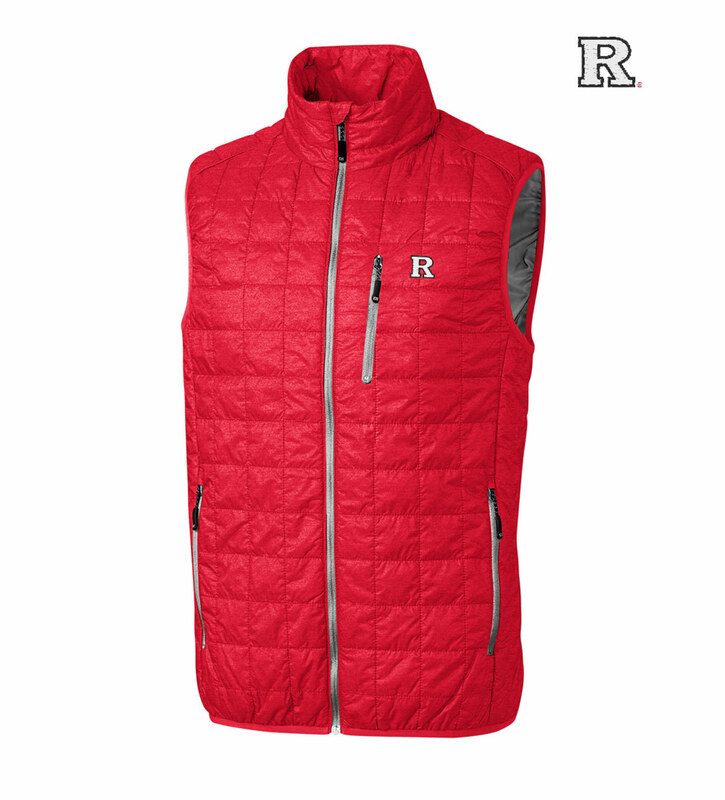 Tastefully embroidered with the Rutgers University logo at front. Low-profile Primaloft® insulation makes it warm yet packable and lightweight. An insulated collar adds extra warmth. Side pockets. Breathable, wind- and water-resistant shell. 100% nylon. Machine wash. Imported.